The whole tenderloin is great marinated with some crushed garlic and rosemary sprigs. Finish it on the grill or in a cast-iron skillet for a delicious dinner for two. The marbling and sweetness of the meat makes these chops really versatile. They can be pan-roasted, stuffed or butterflied and pounded for cutlets. Marbled. Pink. Delicious. We love them seared in a cast iron skillet in a cumin and pepper rub with some bacon grease. You'll get a crispy crust and perfectly tender and juicy meat. Full-flavored and nicely marbled, the sirloin chop can stand up to big, bold flavors. We love grilling them in a jerk marinade with thyme, sugar, cayenne, allspice, nutmeg and cinnamon. Cut an 1/8" thin from the sirloin tip of the ham, these are great for searing quickly in a pan or breading and pan-frying. Combine soy sauce, miso, mirin, sesame oil and sesame seeds to make a quick marinade for our pork stirfry meat. Then wok fry it with your favorite veggies and serve over rice for an easy weeknight dinner. 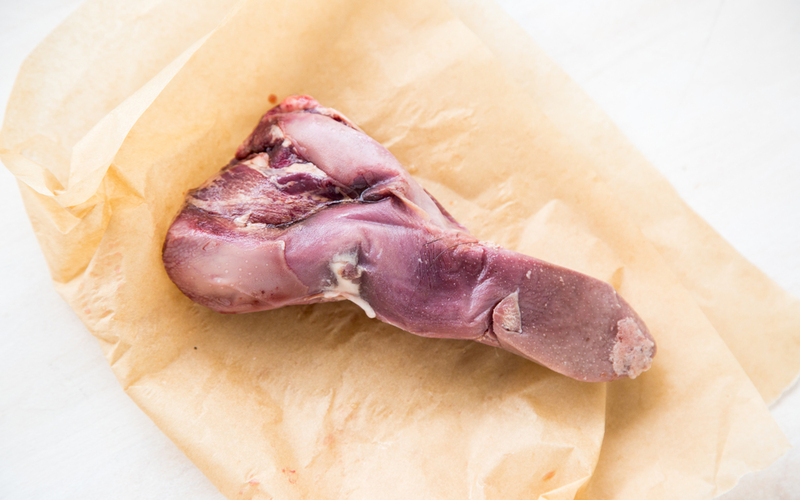 Though relatively lean, pork cheeks are incredibly tender. We love them braised Italian-style for a comforting ragu over fresh pasta. The classic cut for Southern BBQ. The marbling makes for a juicy slow-cooked dinner. It's also great cured overnight with some salt, coriander, sage, garlic, bay leaves and peppercorns and then cut into pork collar steaks for those who like a fatty seared pork chop. A great option for pulled pork, this cut is typically called Pernil in Mexico and goes great with some cumin, cayenne, garlic and cheap beer. Use it to make tacos, tortas or pile it high on some nachos, and don't forget to crisp up the skin at the end for a chef's snack! Fatty spareribs are awesome glazed with soy sauce, lime, fish sauce, garlic and ginger. 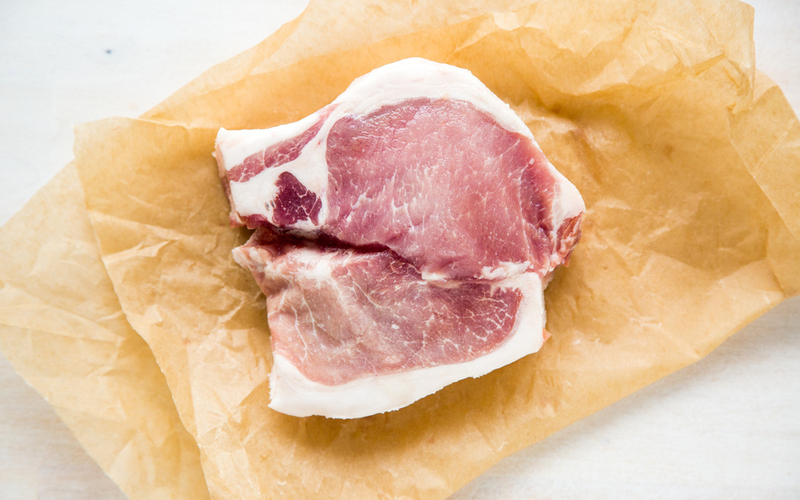 This cross-cut well-marbled shoulder chop is awesome for making a small batch of pulled pork in the crock pot or on the barbecue. The leanest and most tender of the rib family. They work great with a simple rub and a slow dry roast. This roast is delicious with garlic, rosemary and anchovies. Pork and the sea always pair so well together and if you keep an eye on this roast it is a great centerpiece for dinner with friends. Much leaner than belly bacon, Canadian bacon is meaty and perfect for crisping up in a pan and layering on sourdough with melted cheddar. Perfect for dipping in tomato soup! We love crumbling crispy bacon on top of baked potatoes with sour cream, sharp cheddar cheese and thinly sliced green onions. A thick center-cut slice from our ham roasts is awesome with eggs in the morning, sandwiches at lunch and pea soup for dinner. Whether it be Thanksgiving, Christmas or Easter, the sweet hickory smoke mixed with a salty ham roast is almost as nostalgic as a Rockwell painting. Jowl Bacon is the fattiest of all bacon and comes from the cheek. Its rich in flavor and works great for Carbonara. Licked with hickory smoke and filled with collagen. Hocks are the secret ingredient to any great chili or slow-cooked beans. This classic German sausage crisps up nicely in a pan and just needs some spicy deli mustard and tangy pickles. Perfect with an ice cold beer. Fry until golden and crispy, and serve with soft scrambled eggs and biscuits you won't find a better breakfast around! The humble taco is always better with our Mexican Chorizo Sausage! Warm spices with a definite kick, break up the sausage in a pan, and fry until crispy. Serve with warm tortillas and your favorite toppings. Crushed pepperoncino flakes give this fennel laden sausage a nice kick. Awesome for sausage and peppers or cut it out of its casing and use it as the backbone to a great bolognese. This stuff was made for one of our favorite Italian cookout classics -- sausage and peppers. Grill until nicely charred, and tuck into a toasted hoagie with sauted sliced peppers and onions. Crushed pepperoncino flakes give this fennel laden sausage a nice kick. Awesome for sausage and peppers, or cut it out of its casing and use it as the backbone to a great bolognese. Heart is as lean as it gets for pork but the flavor is intense and great to marinate for a quick hard sear. Soy, ginger, garlic, lemongrass and fish sauce are our favorite. The most nutritious cut there is to be had and a more mild cousin of beef liver. Brown thin slices in butter with crisp sage and caramelized onions or sneak some into a bolognese for some extra flavor and vitamins for those unknowing! These tiny tongues are great for the charcutier looking to create some great texture for their terrine or pate campagne. Braise 'em and Fry 'em! Or just toss them into a stock for some a nice gelatin boost to add some body. Sliced up, these are the most unctuous french fry you can make. Its perfect after a hard day and finishedwith a cold beer. The lower melting point of leaf lard makes the best pie crusts and tortillas. It's also great to finish with pasta or roasted veggies. We call them Gelatin Bombs. Add them to any stock, soup, rice or stew and you won't regret it. Ramen. Ramen. Ramen. There's nothing better or more fun to make than Ramen stock. Sliced up, these are the most unctuous french fry you can make. Its perfect after a hard day and finished with a cold beer.